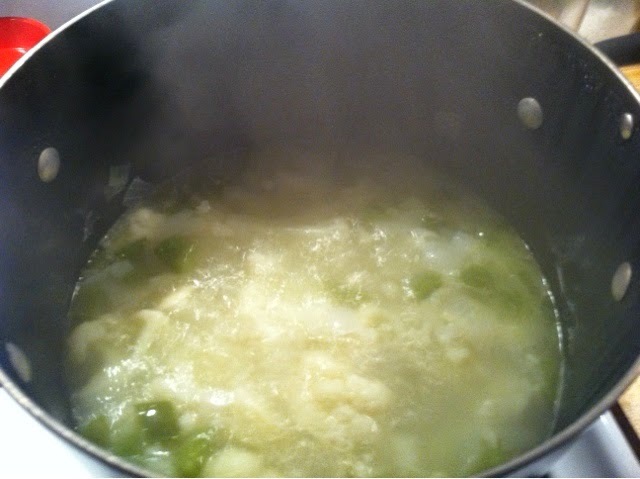 Melt 2 tablespoon of butter in a large stock pot. 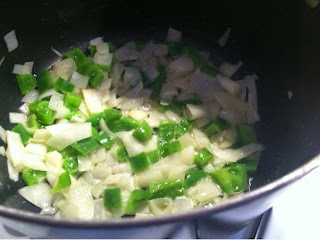 Add the onion and 1/2 the bell pepper. Simmer about 5 minutes until tender. 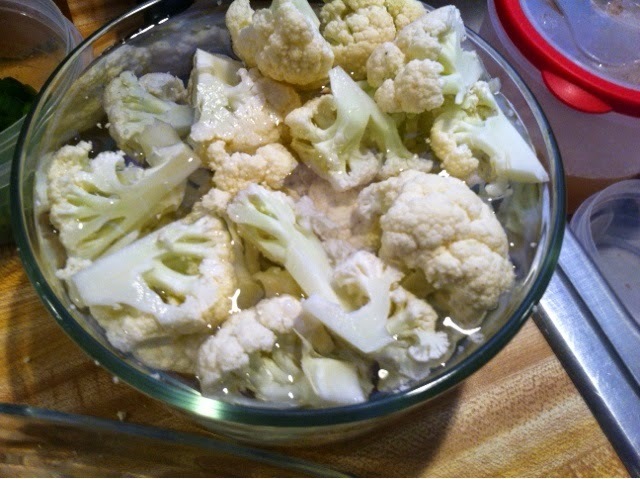 Add the water and 1/2 the cauliflower. Set aside one cup. Bring to a boil. 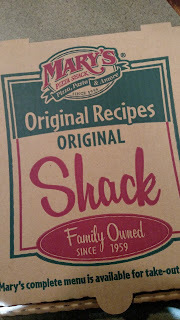 Add 1 teaspoon of salt. The simmer for 10 to 15 minutes. Add the rest of the cauliflower and simmer for another 15 minutes. 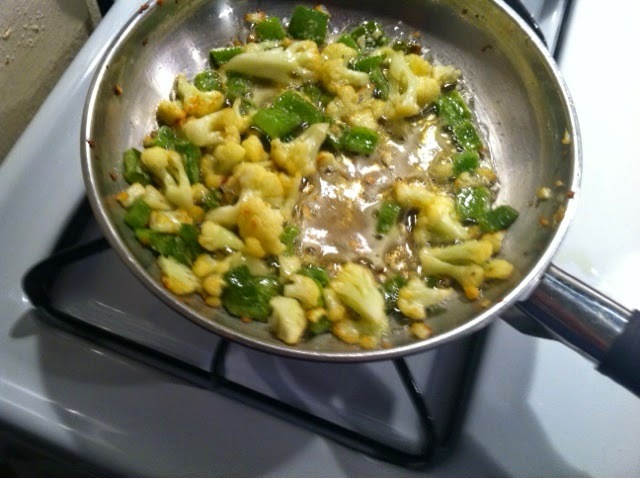 Mean while, melt the rest of the butter in a small sauté pan. 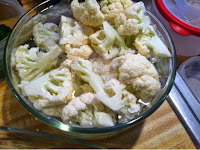 Cut the cup of cauliflower in small florets. Sauté them with the rest of the bell pepper for 15 minutes. 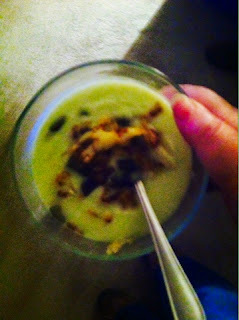 Blend the cauliflower until smooth. Add enough of the cooking liquid to make on smooth, but not too thick. It should coat a spoon. Stir in the rest of the salt. Serve with a garnish of the sautéed veggies.